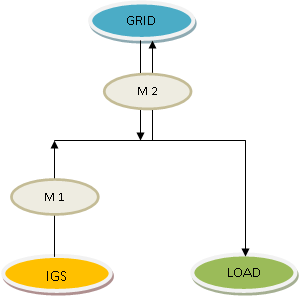 Consumers with embedded solar photovoltaic generation can opt for an estimated solar generation output instead of installing the relevant metering arrangement ("M1 Meters") at each generation point (refer to Diagram 1 for illustration). This estimated solar generation output is based on a Solar Generation Profile for the financial settlement of the relevant wholesale market charges. The Solar Generation Profile is approved by the Energy Market Authority (“EMA”) and is based on factors such as Singapore's historical average solar irradiance from 7am to 7pm. 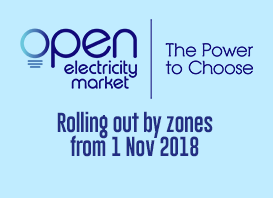 This is standardised for all consumers with embedded solar photovoltaic generation facilities and will be updated by EMA as new information becomes available. Consumers with embedded solar photovoltaic generation facilities will still be paid for the actual generation sold back to the grid. They will need to pay for the actual electricity consumed from the grid, based on the actual meter readings at the intake point (“M2 Meters”). The latest Solar Generation Profile can be found here. The information paper can also be found here. Diagram 1: Illustration of metering set-up for a typical consumer with an embedded intermittent generation source.